In a small bowl, combine all ingredients except tuna. Place tuna steaks in a plastic ziploc type bag. Add Marinade to bag and seal. Set bag in a shallow pan. Refrigerate for 30 minutes, turning bag occasionally to coat. Lightly coat the grill rack with coconut oil cooking spray. 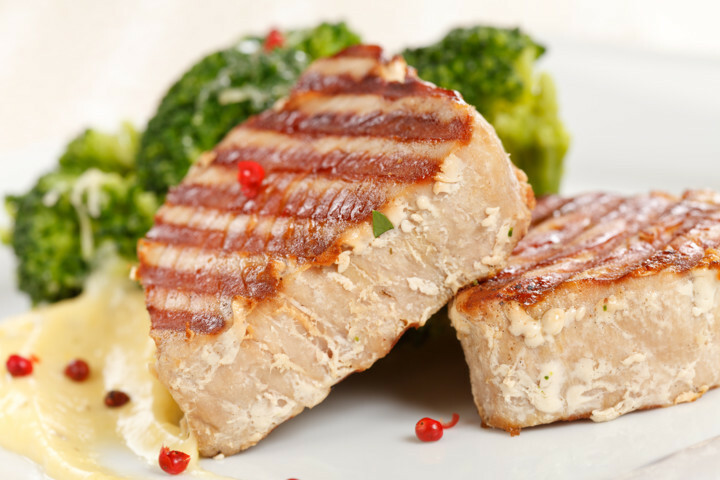 Drain tuna and discard marinade. Grill fish for 10 ro 12 minutes or until fish flakes with a fork (about 145 degrees F), turning once.